In my last post I shared a vision for 2015 being a year of growth, exploration and the pursuance of excitement and inspiration. I invited you all to join me or help me with ideas or opportunities for new or interesting things to try out. And you did! I received all sort of suggestions, ideas and offers and it looks like this is going to be an interesting year, indeed! So far I took a tennis lesson with Steve Nash Fitness tennis pro Max Brown, started taking a free meditation class in hopes to re-open another door I had closed long ago and took an Israeli folk dance lesson – something I really had absolutely zero interest in. More on the meditation and dancing below. 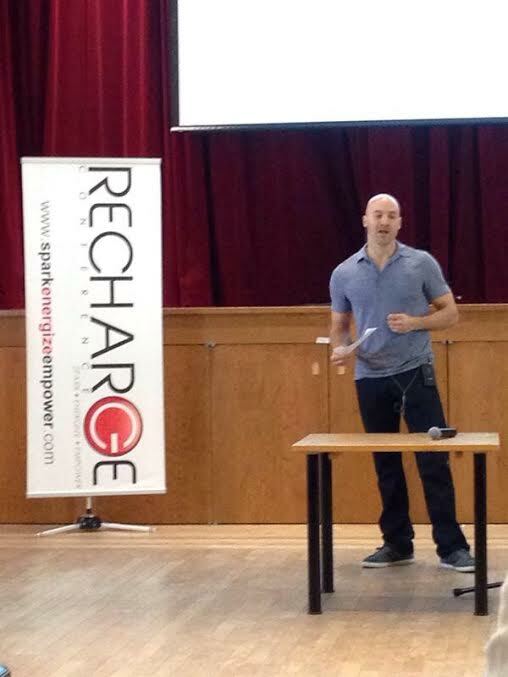 My biggest adventure outside of my comfort zone in 2015 so far took place last Sunday when I shared my personal story of conquering life’s demons with 120 open-minded people at the Recharge Conference (Ted Talks, here I come!). 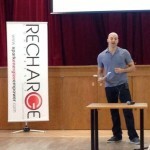 The Recharge Conference was a full day of unique, dynamic speakers filling participants’ minds with creative perspectives on the topics of mind, body, spirit, career, relationships and money (or lack thereof). Founded and organized by Mike Dirks and Justine Levenberg, the event was a ton of fun and kept the participants engaged all day – they even had the energy in the afternoon to dance with DancePlay for a few minutes, which was quite the site to see! I was essentially the morning warm-up act, sharing what changed when I proved my adult-self wrong, accomplishing things I had personally written off as undo-able for me. To be honest, as a first-timer, I wasn’t entirely sure that anything I had to say would be of value to the audience. It turned out a lot more people than I anticipated related to my personal confrontation with my own potential. Speaking to them was an incredible high and, by the end of the day I had a room full of friends. When some incredibly educated speakers that followed me referenced bits of my story in their own presentations, the validation I received from that was incredible. My warm-up act was a success and a blast! I look forward to staying connected to the Recharge movement. On productivity: Your time should be considered in 3 equal pieces of the pie. Play, preparation and execution/work time should be pretty close to equal. The key there being that time to play is just as important, even though many of us feel that we are being unproductive just having fun or relaxing. And if you are working more than that, OUTSOURCE! On debt: Stop wasting time feeling crappy about your debt or waiting for the answer to magically come along. Stop making excuses and own your financial decisions. On reaching your loftiest long-term goals: Imagine where you’d like to be 10 years from now. Then think backwards about the steps that would likely take place to have you arrive at those goals. Write it all down (that was repeated many times) and focus on each step from the beginning, one at a time. That 10-year goal may seem too daunting on it’s own. But the first step right in front of you may be quite simple. 10 years from now you’ll be glad you started now! On relationships: Don’t expect to ever have a productive relationship with another human (dogs are always exempt) if you don’t have a good one with yourself. Oh, and Mark Groves (@CreateTheLove) can make love – or lack thereof – funny. About nutrition and body health: One of the worst things you can eat is worry, if you aren’t in bed before midnight you will pay the price the next day, and if you dream vividly it actually means you didn’t sleep well … making the wish for “sweet dreams” to be kind of harsh, actually. To create some context, I’m one of those guys who doesn’t get yoga. I HAVE tried at least 10 different times with 10 different teachers (no, I haven’t tried YOUR teacher, who is simply the best), but I just haven’t been able to wrap my head around the whole namaste, heart-centre mumbo jumbo. So when Loyd offered a free meditation class at the JCC, I decided it was worth investing my time and trying something new for me. I’ve only attended two of Lloyd’s classes so far. In class #1 the comfortable position I assumed was laying on my back. After playing a late night hockey game the night before this was the perfect position for me to sleep. And sleep I did. In and out between mantras. When I was awake I really struggled to focus, or not focus, as was suggested at times. My mind wandered. Which is apparently normal. In class #2 I sat in a chair right next to Lloyd. I was determined to stay awake and really follow his lead. My mind still full of day-to-day garbage, I discovered that following sounds was my closest path to zoning in or out on one thing. I’m going to work on that, play to my strengths as Lloyd suggested, and keep trying. Making an effort to spend a few minutes practicing each day. This is going to be a long haul effort for me! Lloyd’s classes take place Tuesday mornings at 11:30am and 10am Thursday mornings. New participants are always welcome. Camera came out and everyone ran…. I had posted on Facebook that I had a free night and wanted to fill it with something new. I had a few interesting responses – most of which included things that can’t be repeated on this website. But I was challenged by a friend to try out Israeli folk dancing. She was half joking, offering me money to try it, knowing full well that this was not something anyone would expect Kyle to do. Which was exactly why I felt compelled to do it! 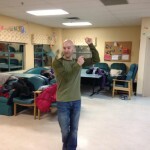 I joined the beginners class of the Vancouver Israeli Folk Dance Society taught by Naomi Taussig. It was probably the most mentally challenging hour and a half I have had in a long time – this being what happens when you join a class half way through the year and they all know the dance steps. By the time I caught on to each dance we moved on to the next. I had the opportunity to feel like the bumbling idiot in a room full of strangers, which was a lesson in humility. 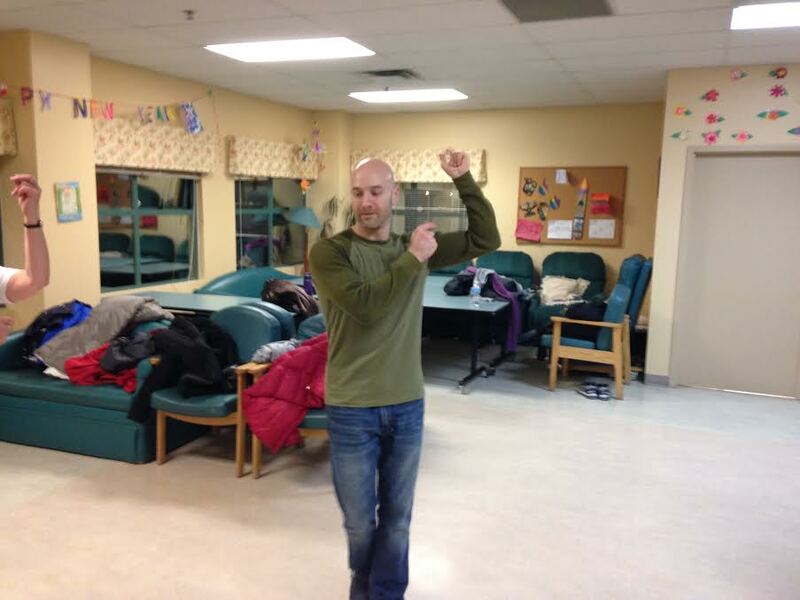 But, I learned what the Yeminite Step is, that folk dancing can be as much of a workout as it is a social event and that I have more balance on skates than I do on my dancing feet. All in, a good night! 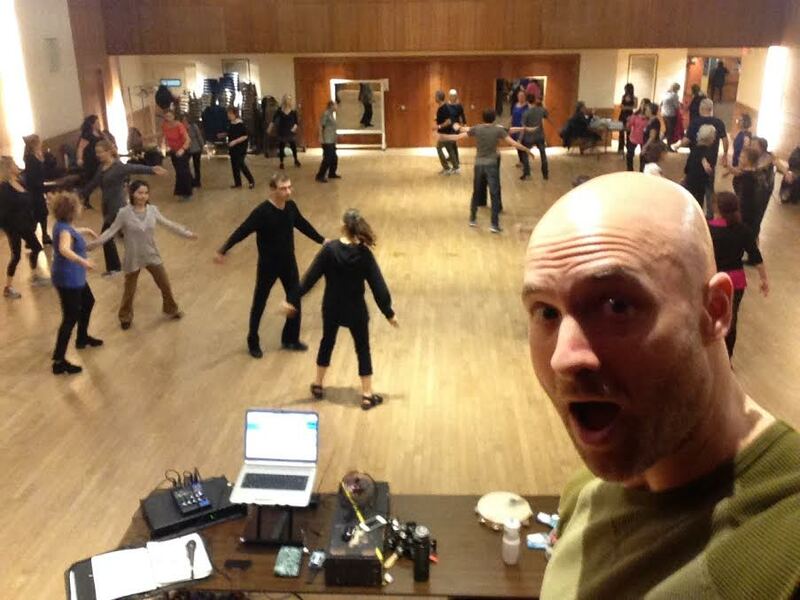 Intermediate Israeli folk dancing selfie! Israeli folk dancing was probably a one-time event for myself given my schedule, but I’m glad I Yeminite-stepped in when I did. Watching the intermediate dancers was quite impressive as well! Check it out Wednesday nights, 6:30-10pm at the JCC. They provide free cookies and candy!